Located within walking distance from InterContinental Mzaar hotel’s ski lift, the Merab Hotel and Chalets offers great value for money to the active skier that wishes to visit the Mzaar ski resort in Lebanon. The three star Merab Hotel at on the slopes of Mzaar is really two hotels into one with 15 rooms and one penthouse suite. The all chalets extension compliments the small but cozy hotel. Customers of both the Merab Hotel and the Chalets benefit from a shuttle to the Mzaar ski resort’s main entrance. The Merab Hotel is adjacent to Chez Mansour, a trendy bar and restaurant and Mansour Shop, one of the largest small shops you will ever be in. Free WiFi is available in Merab Hotel’s lobby. 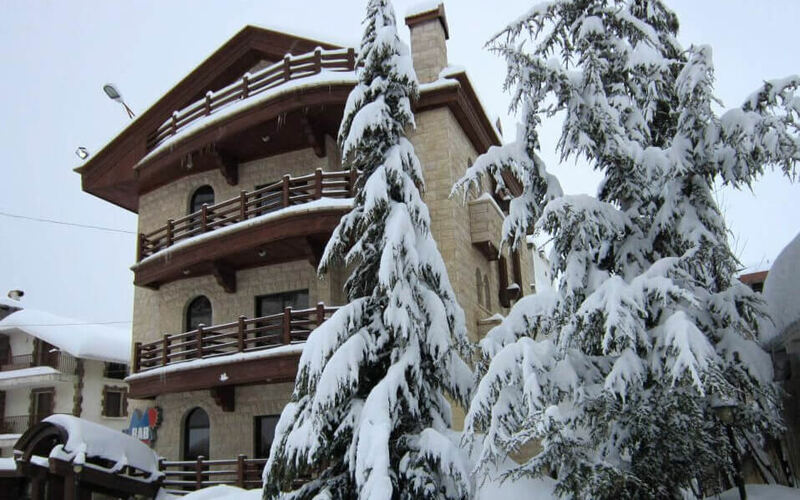 Varianos Travel is truly pleased to be able to offer ski and snowboard holiday packages from Cyprus that include stays in this outstanding and intimate small hotel just above the village of Faraya. Call us at 22680500 or email us to book your ski holiday from Cyprus or to get more information. 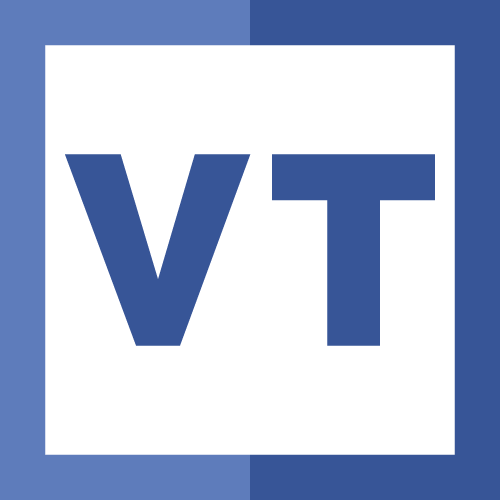 Varianos Travel is pleased to be a long term partner with Merab Hotel and the Bteich family that owns and runs it. Our cooperation predates the opening of the hotel. We will be glad to hear from you regarding your specific requirements for your next ski trip to the Mzaar ski area and will be pleased to give you personalized quotes that fit your needs. Our ski holiday packages include hotel accommodation, return flights between Larnaca, Cyprus and Beirut, Lebanon with Middle East Airlines, all taxes and round trip transfers between the Merab Hotel in the Mzaar ski resort and Beirut airport. They of course include our exceptional services before, during and after your holiday. Prices can be lower for larger groups. 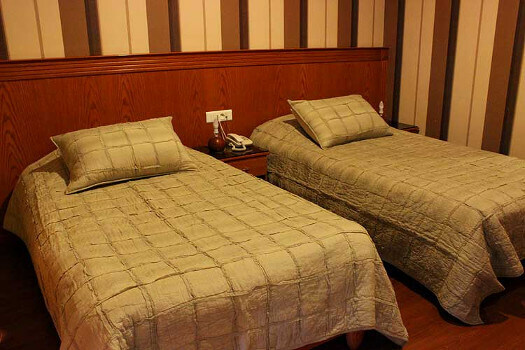 All hotel rooms are well furnished, clean, warm and have TV and WC. 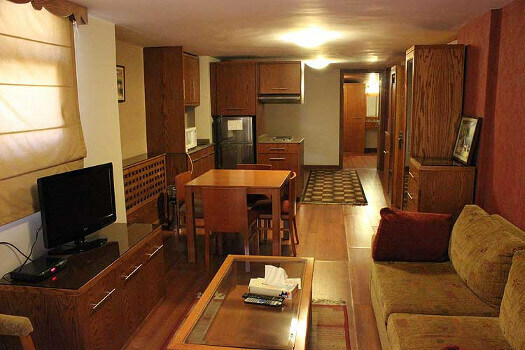 The chalets are one or two bedroom units of varying size and all have their own fireplaces. 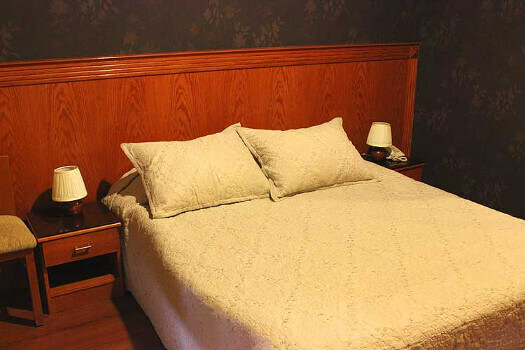 They are beautifully decorated with quality furnishings and interiors are styled to a high standard. 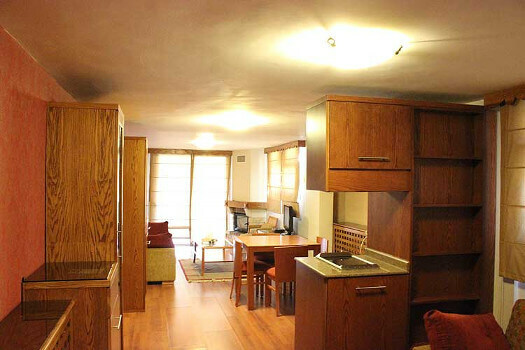 A kitchenette, available in all chalets, will provide you with the benefit of self catering. In contrast to the hotel rooms, all the suites are generously sized. Call us at our Direct Ski Line (22663477) or email us to get your individualized cost of a ski holiday package with a stay at this cozy hotel in Lebannon. We make skiing holidays easy for you by offering complete travel package solutions. We can arrange flights, transfers between Beirut airport and the Mzaar resort, accommodation on various meal plans. Contact us!